This show marked the Phish debut of Gold Soundz (Pavement). Trey forgot some of the lyrics, and Mike subsequently flubbed some of the lyrics to Ginseng. Before Limb By Limb, Trey remarked that they would try to get all the verses correct on the next song. Simple contained a Magilla tease and Weekapaug included Super Bad teases. Well, this one has been swept under the rug altogether, and that's a crying shame. Granted, the first set is nothing special, unless you're a Pavement fan. The first and last performance of "Gold Soundz" was a treat for those of us in the know, but otherwise there's not too much to report from Set 1. Set II, however, is a completely different story. Why, you ask? "Simple" -> "My Left Toe" -> "Jam", that's why. About a half hour of music that gets completely undermined by the way "Mike's" > "Simple" > "My Left Toe" > "Caspian" looks on paper. Hidden gem, plain and simple. The "My Left Toe" comes out of the "Simple" jam so effortlessly that more than half the crowd didn't even notice it. 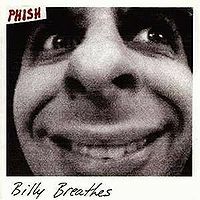 And the jam out of "My Left Toe" is full of melodic Mike, patient Page, fantastic Fish and glory Trey. You should hear this. Ryan has it. The segment from Simple through Caspian is just unbelievable. 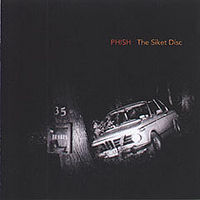 This second set alternates down'n'dirty rock, delicate ambient melodies, and dazzling technicolor anthems - extraordinary music from a time when Phish hadn't yet begun their scary decline, but were no longer the innocently nerdy they'd so recently been. Remember when people carried around pen and paper to write down setlists? I've always been a huge Pavement fan. I remember everyone standing around completely dumbfounded during Gold Soundz - I was by the tapers, and I kind of got a kick when the game of "telephone" started as the name of the song spread throughout the venue. I love that tune. I'd say I probably was one of a handful of kids at that show who knew that song and was singing along with it, but who knows, I'm probably completely biased and music snobby. Overall, pretty unimpressive first set. Second set made up for it - CK had the crowd BUMPING during the Mike's jam (remember the white lights spinning up and down?) Didn't care for the B&R part of encore, but Bold As Love sent us home happy. Incidentally, I took my friend Joel (you tapers know him), the DailyGuru (check him out online and on you tube) to this show, his first. He was hooked from then on out... Considering his favorite band up to that point was Aerosmith, I think I did him and humanity a huge mitzvah. Another one-time-played in gold soundz. The Mike's Left Toe Groove is Phish at their best. A very strong show, which more than delivers on the potential suggested by the setlist. Set 1 is satisfying, despite a few trivial flubs / rough spots. They really stretch out and build to a screaming climax on Taste. Limby gets ambient for a bit. Bag and Cities are solidly explored, if a bit leisurely in pace. Moma has a quirky, floaty feel. It's easy to get lost in the middle portion of this set, & lose track of space and time. Set 2 takes things to another level. Simple > My Left Toe > Caspian is worthy of the praise that the other reviewers have given. The segues flow naturally, and there is a perfect balance of energy + bliss throughout the trifecta. The Mike's Groove bookends are equally notable, with a couple of inventive diversions from the norm that work nicely. Golgi is solid enough. Then the encore delivers an exquisite pairing of sweetness and heat. If you don't feel chills during this version of B&R, then you're either not human or not listening! First set is alright, Gold Soundz is a neat cover. The crowd goes wild during Bittersweet Motel when the lyric "Halfway from Erie to Pittsburgh" is sung. The meat of the show is in the second set. Simple -> My Left Toe is pure hose. Absolute face melt. This is the type of jam you listen to years later and cry to. The Simple is good and the segue kind of sneaks up on you, especially since My Left Toe is hard to pick out initially from the '99 ambience. The jam from My Left Toe is soaring, melodic, and Trey peaks it in just the right way. I fully believe that this show would be rated higher if the show description didn't say in the first sentence that they flubbed two songs. Star Lake. The venue where in 1997 the guys showed up and played an incredibly solid show with an evolutionary Gumbo Jam. 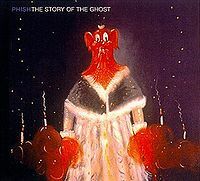 In 1998 phish returned and burned down the building with an epic all timer Runaway Jim Jam. Set one really doesn't contain anything to write about aside from some interesting experimental jamming coming out of LXL. Aside from that it really comes off somewhat dull. Kicks off with a stronger than usual Mike's Song that gradually rises. The key to this jam (and much of the rest of the set) can be found in Fish, who is literally beating the ever living crap out of the drums for the latter half of the jam. The segue into Simple is clean as usual. What is off to me is the much slower than usual tempo. I expect simple to rip when they go into it from Mikes and this one has a slow and steady vibe to it. Where they trying something new? Probably. Now here comes the most interesting part of the show. My Left Toe sandwiched into Mikes Groove is a fantastic choice. They are still working hard to master the ambient jams. What is more interesting is how it works as almost a type of I Am Hydrogen type jam. Even in the entry Fish teases I Am Hydrogen and mid jam it even sounds like it. This allows them to accomplish what hydrogen does and stretch it out. Caspian is a great choice out of the ambiance can't knock it for that. And Weekapaug shreds and grooves more than it typically does, firing on all cylinders towards the end. An interesting show with some great setlist ideas. But because of the dull first set and at times fluffy 2nd set I'd rate it as an average show.